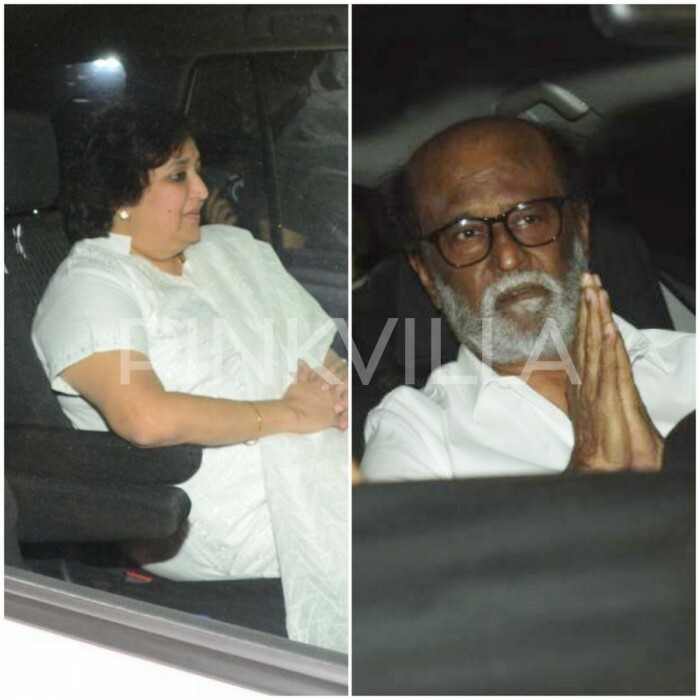 Superstar Rajinikanth and wife Latha today visited Anil Kapoor’s residence to offer their condolences to the bereaved family. The sudden death of Sridevi has left millions of people shocked. 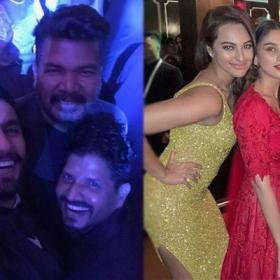 The film fraternity poured out their tribute and their love for the actor on their social media accounts. Several stars from the South Indian Film industry, including Rajinikanth, Kamal Haasan, and others were spotted at Anil Kapoor’s residence to offer their condolences to India’s first female superstar. Earlier Rajinikanth took to social media to express his grief. He wrote ‘I’m shocked and very disturbed. Lost a dear friend. My head goes out to her family and friends. I feel the pain with them. # RIP Sridevi. You will be missed’. 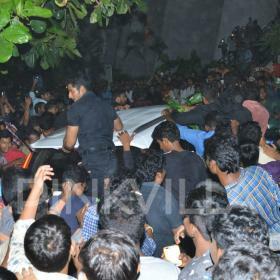 The megastar and his wife Latha arrived at Anil Kapoor’s house today. She acted in Moondru Mudichu along with Rajinikanth and Kamal Haasan which was one of the best works of her career. She played the role of Rajnikanth’s step-mom in this movie at the age of 13. During her appearance in the Tamil remake of Kaun Banega Crorepati, hosted by Prakash Raj she revealed that she was paid more than Rajinikanth as he was a newcomer to the industry. She also said that her mother loved him like a son. She has done 22 movies with the global superstar including 16 Vayathinile, Priya, Dharmayudham. Chor ke ghar Chorni was their last movie together. Born in Tamil Nadu’s Sivakasi as Shree Amma Yanger Ayyapan, Sridevi began her journey as a child artist in the movie Thunaivan. She played the role of young Lord Murugan. More than a decade she reigned as the queen of South Indian cinema and was a huge hit especially in Tamil Nadu. She received Padma Shri in the year 2013 for her versatile acting and dedication she showered on Indian cinema. Sridevi passed away in Dubai on Saturday night due to ‘accidental drowning’. She is survived by husband Boney Kapoor and daughters Khushi and Jhanvi.